Make your own website with BoldGrid the free premium website-builder that comes with your hosting plan. Make your own stunning responsive website that’s powered by WordPress and therefore has more features and functionality than any other website builder on the internet. 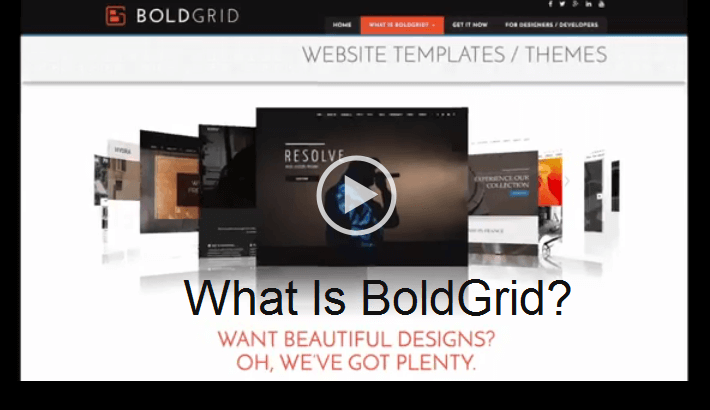 BoldGrid is a website builder that is powered by WordPress and comes with a hosting plan and free domain. Its everything you need to make your own website from scratch. The most popular and supported content management system (CMS) on the internet! BoldGrid helps you build a better WordPress website from new. All themes are HTML5 and look great no matter what device they are viewed on. You can even download and install your own themes. All themes are mobile ready and friendly. This means when you make your own website it will look great on desktop, tablet and mobiles. Move content around using drag and drop. 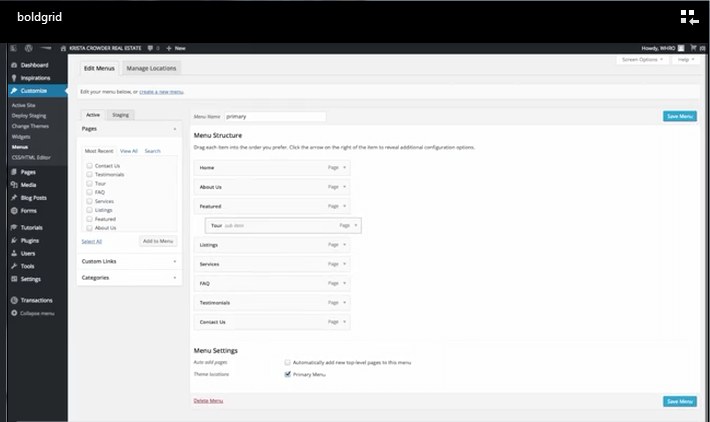 Now its easy for you to move your content anywhere on the page when using WordPress. 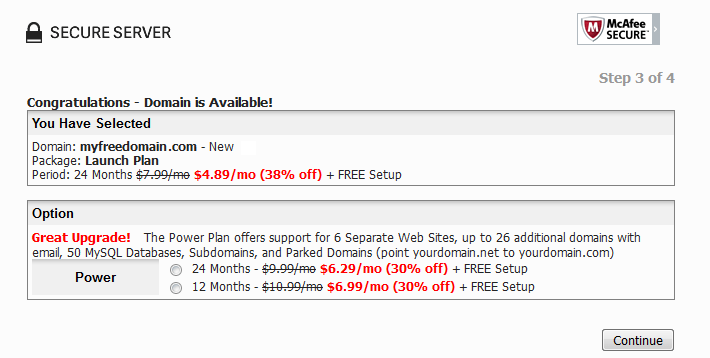 Get a free custom domain included with your hosting plan when you sign up. 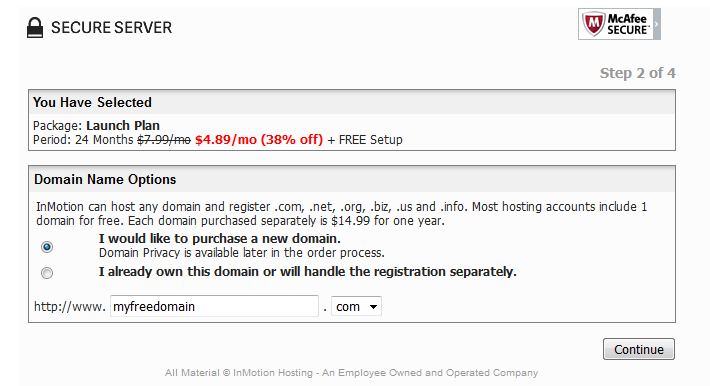 Or add a domain your already own. Once you pick a theme you will have access to all the content you see on the demo including text and images! If you are thinking of a way to create a website then you need to learn how to make your own website using WordPress. WordPress is used by millions of people to create their sites and blogs. Over half of all the websites on the internet are built using the WordPress website platform. Isn’t that enough proof that WordPress is the best way to make a website. Stats from W3 Techs. It’s An Open Source Platform – This means that WordPress can be used by anyone for free, you will need to host your site somewhere. It has been designed for people with little or no web design knowledge, helping people just like you create a website or blog. If you can use Microsoft Word, type a few sentences you can use WordPress to make a website. A team of World wide developers and experts support and maintain the WordPress platform for free. They update the WordPress platform, and build new features and themes all the time. There are help websites and forums that you can ask questions and find answers. To answer the question what is WordPress, its a website builder that anyone can use to build their own website. There Are Thousands Of Free And Payed Themes – WordPress developers are always creating and updating themes. A theme is used to change the look of your website. You can choose from free themes or you could pay for a theme the choice is yours. Most new themes will be built to be responsive. You should always use a responsive design when building your new website. This will then ensure your design looks great on any device. Get Any Feature You Want – If you’re looking for that feature your theme does not have its not a problem. Using plugins you can extend the functionality of your theme. Search for the feature you looking for, download then install and activate the plugin to get the feature on your site. There are thousands of plugins to choose from. WordPress on its own is great and used by millions to build their websites and blogs. But WordPress and BoldGrid are a winning combination where you are the winner. WordPress and BoldGrid are a winning combination. 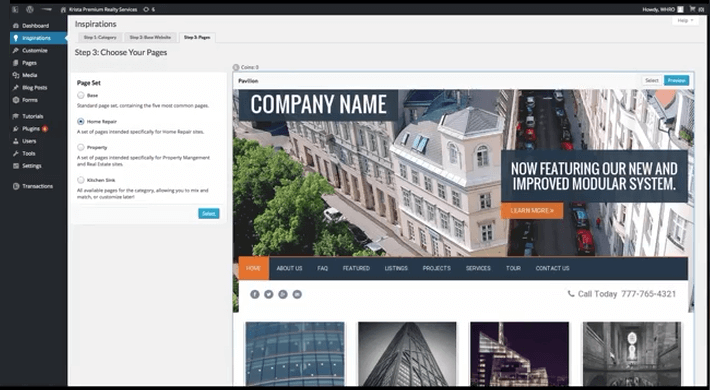 BoldGrid has combined their website builder on the WordPress platform. This means you have the best of both Worlds when you choose to make your own website with BoldGrid. BoldGrid is powered by WordPress and therefore has more features and functionality than any other website builder in the World. In addition unlike other website builders you actual own your website and can move your site to another hosting company. The BoldGrid system comprises of two systems. The inspiration phase will give you a complete site to set up and customize for your business. The designers from BoldGrid and agencies from the WordPress community have created many category’s and designs to choose from that are all responsive so they will look great on desktops computers, laptops, iPad’s and mobile phones. New designs are released each month to make sure you have the latest selection of designs. These are complete websites that are being built, they include written content, and unique images that relate to the content. BoldGrid is the only site builder that works this way. If you see something you like on this preview you will actual get this feature when you install your site. The Inspiration Phase gives you a chance to explore different website designs, pages you may want in your site, content that is specific to your industry, and functionality you may need. This stage is intended to give you a complete site, content and all. The next step is to choose page sets that come with the install. These pages and the content on the pages have also been built according to your category. You can choose a smaller sub-set or go with the kitchen sink. Keep it simple when you first start, you can always add more pages later. Lets say you choose to add the about us page. When you view the about us page you will see that the content relates to the category you choose to inspire you. If you choose this all the content will be pulled onto your site. Other site builders show you a beautiful theme or template but once installed you left with a blank confusing page with nothing on, not what the theme showed you. That’s the difference between BoldGrip and other site builders BoldGrip pulls all the content onto your site what you see is what you get. This makes it easy to update and build your own website. Modify your site, add your business name. Fine tune your colors on your design, the BoldGrid system will even suggest the best colors for the theme you choose. Choose which page you want in your site navigation. Pages that are not ready can be added later when they have been updated. 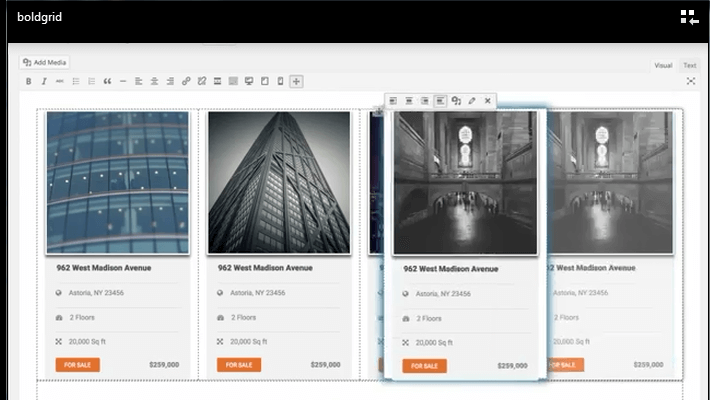 Use the built in drag and drop editor to smoothly change the layout of the page you are working on. People will think your site has been designed by a professional. Choose photos from your computer or use a photo from the photo gallery on BoldGrip choose from thousands of free photos. 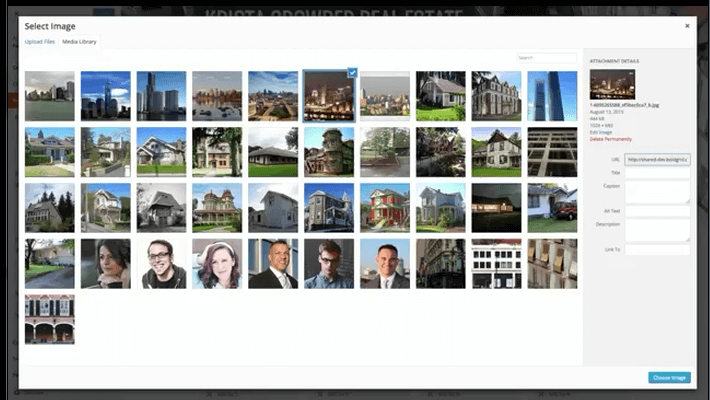 Its quick and easy to add pictures to your new site. WordPress is free to use but you need to host it somewhere. Sign up to inmotion hosting and get BoldGrid free. Sign up here and get a free domain and BoldGrid free. 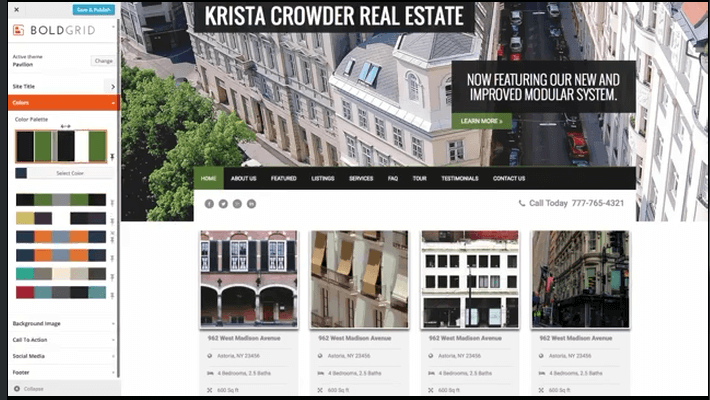 Watch this video and see how easy it is to create your own website. BoldGrid leads the industry with their 90-Day Full Money Back Guarantee. Buy with confidence knowing that they fully guarantee your satisfaction. 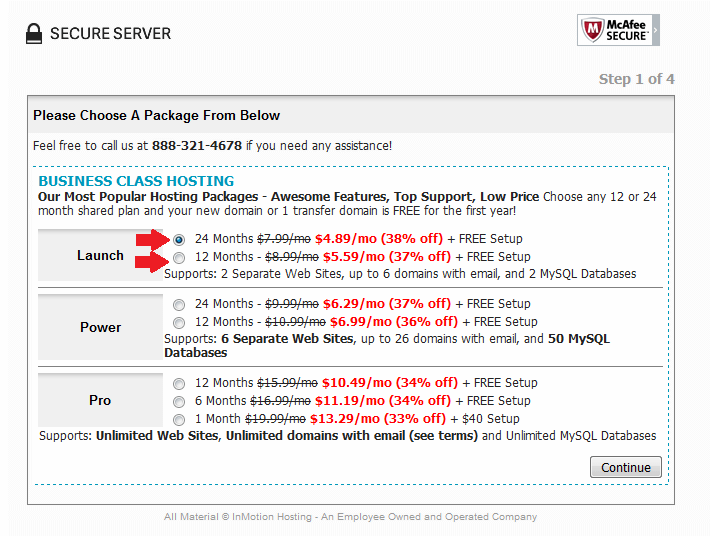 Purchase any 12 or 24-month Business Class plan and your Domain is free for the first year. How To get WordPress preinstalled during the checkout process and it will be setup and ready to use after you’re confirmed by the BoldGrid Onboarding Team. Look for the BoldGrid order form. Click on the LAUNCH order now button. Next select 24 Months or 12 Months and press the continue button. Note the saving when you select 24 Months, it will cost you $4.89/Mo (38% off). We recommend 24 months, there is a 90 day money back guarantee, you have nothing to loose. Add a domain you already own or choose a free domain for your new website. If the domain you choose is available you will get a message saying Congratulations – Domain is Available! Next click the Continue button. Fill in your billing information. Remember under the Content Management System Auto-Installer click the Install BoldGrid, powered by WordPress box. I do get a small commission when you sign up to the hosting service I recommend on this page. The commission is paid by the hosting company not you. I thank you in advance if you sign up and would love to see your site please email me the URL. If you require any help or do not understand any part of this article please feel free to ask me questions.